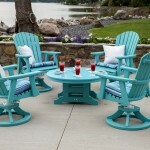 Beautiful, comfortable custom patio furniture will complete your outdoor experience and make an impression on guests. Dream Beyond Storage! We build everything- from just a small shed to a cabin by the lake. Our lodges and specialty buildings make anything possible. CLICK TO SEE NOVEMBER SPECIAL! Low-maintenance quality vinyl play-sets will save you time and money! 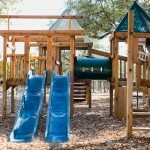 Make your child's outdoor experience great! Parkviewe is your one-stop shop for everything outside. When you shop for custom outdoor furniture, gazebos, swing sets or storage sheds, you want something well-built that will last for years to come. But how far do you have to go to find something that meets your criteria? Maybe Amish country? Quality outdoor furniture might be closer than you think. One of Northeast Ohio’s best-kept secrets, Parkviewe has been located at 32150 Detroit Road in Avon since 2003 and in business since 1983. In addition to our landscaping services, we also sell quality custom sheds and barns, as well as Amish-made patio furniture and pergolas. 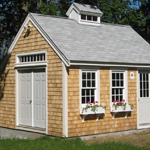 We’ve built sheds, gazebos, and more all over Northern Ohio, Pennsylvania, New York, West Virginia and beyond. We welcome you to browse our website, as we have many photos and ideas for your next yard or landscaping project. Please remember that what you see on our site is not everything we carry or do for our customers! Contact us directly, and we can work with you to create exactly what you've pictured for your home and yard. Do you want to add an office or garage? Maybe you need some extra storage space? We can help!